What’s the limit on the amount of fear we can responsibly allow a child to experience? Roald Dahl thought nothing of inflicting child-eating giants and malevolent witches on his junior readership; in more recent years, the makers of Monster House and Coraline have threatened their protagonists with man-eating houses and forcible eye-removal respectively. Do we owe the little ‘uns some credit for being able to withstand more horror than we think? ParaNorman tackles the issue head-on, introducing us to the titular tyke Norman (Kodi Smit-McPhee) who loves watching zombie movies and can communicate with the dead. It’s this latter ability that makes life difficult for him: his family are far from understanding (shades of Dahl again), and he’s bullied at school by the thuggish Alvin (Christopher Mintz-Plasse). Things get worse when he is tasked with protecting his town from a centuries-old curse involving zombies and a vengeful witch. The film’s stop-motion style is highly evocative of the aforementioned Coraline – not surprising, considering writer/co-director Chris Butler cut his teeth storyboarding the Neil Gaiman adaptation. 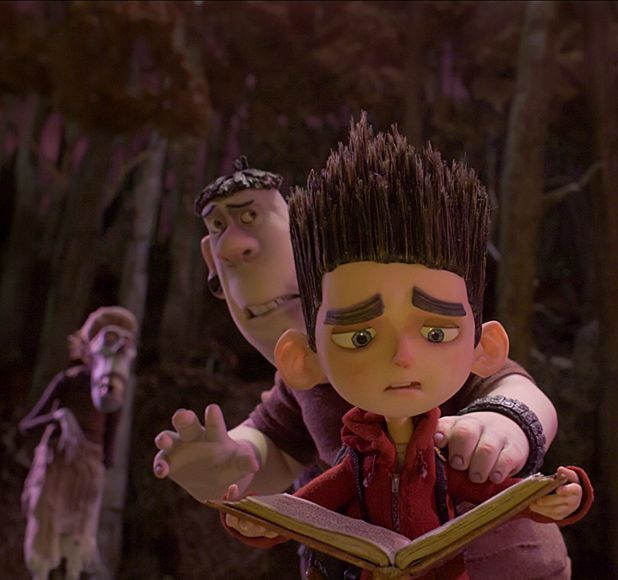 Like Coraline, ParaNorman has its fair share of laughs to balance out the terror – Norman’s best pal Neil (Tucker Albrizzi) and Neil’s big brother Mitch (Casey Affleck) are particular highlights. For those in the audience old enough to notice, there are some subtle nods to Halloween and Friday the 13th, and Jon Brion’s score has a dash of John Carpenter synths mixed in as well. In short, it’s a kids’ film horror fans can sink their teeth into – but with several scenes of death, reanimated corpses and a genuinely terrifying witch, it might be worth making sure your kiddlywink has the fortitude to withstand it.